SSC Circle is located on the second floor across from the Registration area, room 2331. A modern convenient and easily accessible location that brings together resources to assist new and returning students in most areas of the enrollment process to include; frequently asked questions or problems regarding financial aid, registration, admissions or student accounts. 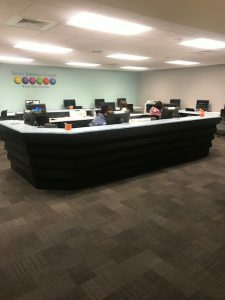 The Circle has experts available from these various offices who can quickly assess problems and either help you on the spot or refer you to the appropriate resource for more detailed information.We provide our students with a high level of personalized service to eliminate visiting multiple departments.